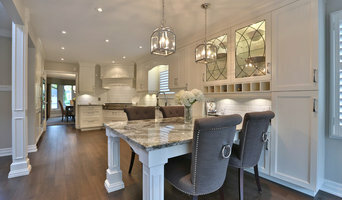 2014 Homestars Award Winners for kitchen planning and renovations.. Oakville Kitchen Designers prides itself on offering its clients the ultimate in service, design and quality. We carry a wide selection of custom cabinetry, beautiful Italian quartz countertops, unique decorative hoods and hundreds of accessories for inside the kitchen cabinets and drawers. 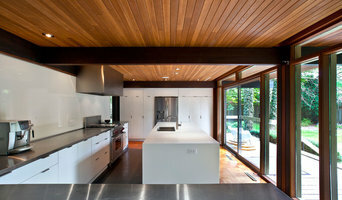 We also offer a full design/build service for all home projects. Roma Kitchens and Bath is a full service kitchen design centre that also features bathrooms, bars and wine cellars. Located in the Mississauga Home & Design Centre, we offer customers in the Greater Toronto Area and Ontario’s Golden Horseshoe the finest in both new installations and renovations. As a full service centre, our customers expect us to provide experienced and creative designs for every aspect of their home improvement, whether it be a kitchen, a bathroom or a wine room. Our Professional Interior Design Consulting includes: -Concept Development -Space Planing -Custom Millwork -Preparation of the full sets of working and presentation drawings -Project Management -Color Consultation -The selection of furnishings and decor to reflect client personal style and tastes They also expect us to manage, execute and complete their work on time and on budget, and with no surprises. And we take great pride in doing just that. 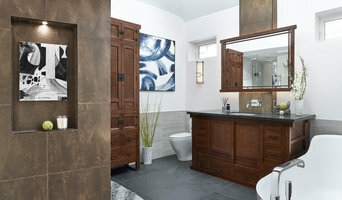 Lev2 Millwork company, once known as KTF, is a custom manufacturer of both commercial and residential cabinetry. Located in Durham region, Lev2 provides modern millwork and storage solutions. We build superior finished products with impeccable precision and elegant details. Our designers work to create polished functional spaces tailored to you. We offer a collection of high-quality cabinetry lines. Choose from our Signature Exclusive Full Custom Cabinetry, Premium Semi-Custom, and our Contemporary Value Priced Pre-Manufactured assortment. There’s a pefect profile to complement your style whether you’re Traditional, Modern, Rustic or Contemporary. Remodeling or New Construction, Residential or Commercial Lev2 Millwork Company has the expertise to execute your project with attention to detail and unparalleled craftsmanship. Come visit our showroom and experience the heart of our home. Herriot Kitchen Design provides creative, customized design and cabinetry solutions for your home. This service will transform your kitchen, bathroom, entertainment area or office into a beautiful, functional and enjoyable part of your home. Herriot continues to exceed client expectations with fully managed projects which include the supply and installation of Canadian-made fine custom cabinetry, as well as design-only commissions. Whether you require a complete new kitchen or our design-only service, explore our site and discover the difference Herriot Kitchen Design can make for your home. 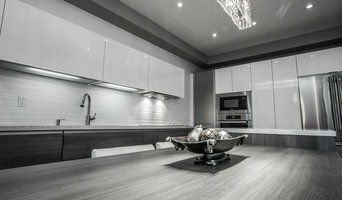 Touchwood Cabinets has been serving the Burlington, Oakville and GTA area for over 25 years. Owner and master cabinet maker, Jason Bowden, personally guides customers every step of the way. No matter how big or small the project he treats every home as if it were his own. Touchwood Cabinets specializes in the design, construction and installation of cabinetry for homes and offices. Using the latest in frameless construction technology, we are able to provide a wide range of storage solutions to fit every need. Whether you are planning a kitchen, bathroom, home theatre, library, bar, office or laundry room, we can help. In 1991, we established Millbrook Cabinetry as a family-run business of cabinet makers in St. Catharines and across the Niagara Peninsula. Our family has worked as cabinet makers for generations, and we’re proud to continue that tradition today. We design and manufacture every piece of cabinetry in one central location, so you know you'll receive a perfectly crafted piece. Our team of trained professionals oversees every step of the design and manufacturing process. This attention to detail allows us to create final products meant to last. We depend on our loyal customers, not our advertisements, to bring us more jobs and opportunities. Because we understand that word-of-mouth reputation plays a bigger role in the industry, we strive for your complete satisfaction. As we provide your home with custom, high-quality products, we hope to convey a reliable image that others will recommend for years to come. We learned early on that the best way to build relationships with our clients is to work directly with them. When new clients contact us, we come to their homes and survey the space before we give an estimate or make any recommendations. We take these extensive measures to ensure your happiness with our work and products. And to better provide you with the cabinets you crave, each of our technicians undergoes training that reflects our family tradition of expert cabinetmaking. LOTUS Home Interiors is a retail design studio, offering a wide range of furnishings, home décor, artwork, flooring, kitchens, custom cabinetry and interior design services. We offer a vast range of services from space planning, color and fabric selection, home décor and design tips, all the way to full project management of remodelling your kitchen or bathroom, or furnishing your home from start to finish. Our showroom is designed to inspire, with pieces chosen to add flare to a traditional home, warmth to a modern space, and functionality and comfort above all. Come in and see what’s new at Lotus Home Interiors! At KitchensON, we are committed to providing beautiful, high-quality kitchens at affordable prices. Our high-quality materials are installed by experienced professionals. Our manufacturers offer Extended and a Lifetime Limited Warranties on their products. Our professional installers’ carry years of experience and successfully finished projects under their belts. From consultation to design and installation, we will be available to answer your questions. Our goal is to help you maximize your return on the investment in your kitchen, no matter how large or small that investment is. We're full-service kitchen & bath designers and renovators, who also specialize in complete whole home renovations and custom home builds. Everything in our homes are completely customized to fit your needs and personal style aesthetic. Please refer to our "About Us" section of our website to review our client testimonials! STONE GALLERIA MANUFACTURES AND INSTALLS KITCHEN COUNTER TOPS, BATHROOM VANITIES, TUB AND SHOWER SURROUNDS, AS WELL AS FIREPLACE SURROUNDS, SHELVING, AND SPECIALTY ONE OF A KIND REQUESTS. WITH YEARS OF INDUSTRY EXPERIENCE AND EXPERTISE, STONE GALLERIA IS PROUD TO PROVIDE BEAUTIFUL STONE PRODUCTS, PROFESSIONAL DELIVERY AND INSTALLATION, AND AN EXCELLENT CUSTOMER SERVICE EXPERIENCE. PLEASE VISIT OUR GALLERIES FOR COLOR AND DESIGN IDEAS.